Women’s Wolverine Composite Toe Waterproof Workboots. 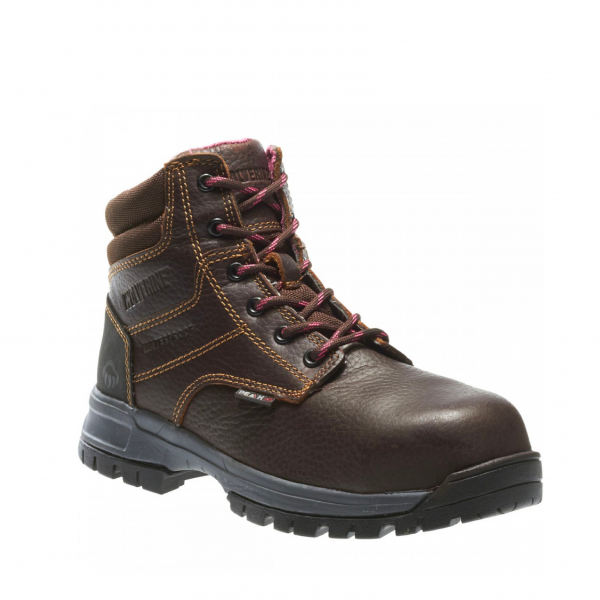 Women’s work is tough and you need a boot that can keep up, like the Wolverine Piper Composite Toe! These composite toe boots feature waterproof leather uppers, electrical hazard protection, and slip resistant rubber traction outsole. Get the most in protection, comfort, and style with the Wolverine Piper Composite Toe!